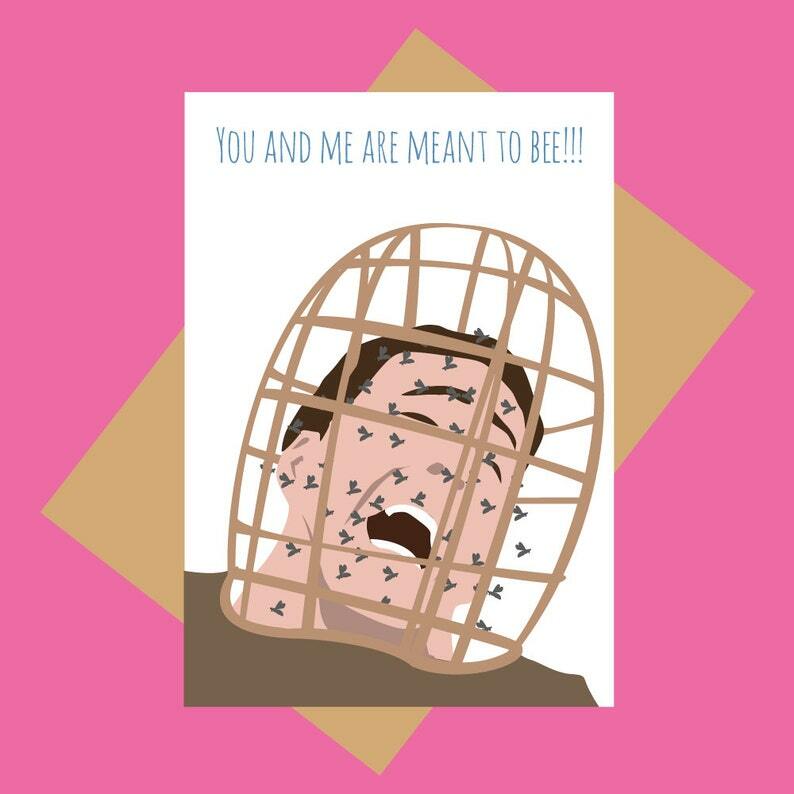 The prefect greeting card for fans of Cage Rage. Are you sometimes just so filled with love that you need to scream with rage? What better way to express that than with the king of rage himself - Nicholas Cage. Original design digital print inspired by The Wicker Man, using a Macbook Pro and Adobe illustrator. The card arrived beautiful and as expected. Play attention to the shipper's location and plan accordingly. I had plenty of time between when I ordered it and when I needed it. My husband dug this card. We're always shouting "Not the bees!" to each other, so it was truly perfect.